CLINTON HILL — The 50-year-old Met Food Market where rapper Biggie Smalls once worked has gotten a new look and a new name. The supermarket was recently renamed Key Food and has an upgraded look with renovated meat and produce sections along with a larger selection of organic fruits and vegetables. The owners also plan to commission a Biggie Smalls mural on the outside wall of the shop. The changes come after nearly half a century and three generations of ownership at 991 Fulton St. The shop was originally opened in 1967 by current owner Rocky Widdi's grandfather, Sam. "My grandfather immigrated from Israel in the 50s and started off selling watches door-to-door," Widdi said. "Eventually he had enough money to open this place — and we have played a big role in the community ever since." 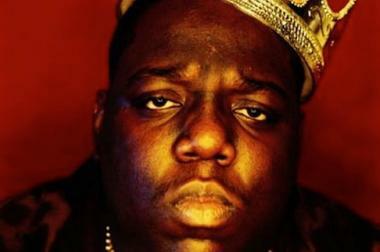 Christopher Wallace, aka Notorious B.I.G, was a legendary rapper and Brooklyn native. Over the years the Widdi family has made donations to Brown Memorial Baptist Church, P.S. 56 The Lewis H. Latimer School, the 88th Precinct and several nearby block associations. They have also never missed a block party, Widdi said. “We believe in taking care of the community and the community has cared for our grocery store in return,” said retired owner Wakeem Widdi in a statement. “When you do good as much as possible, you get good back. 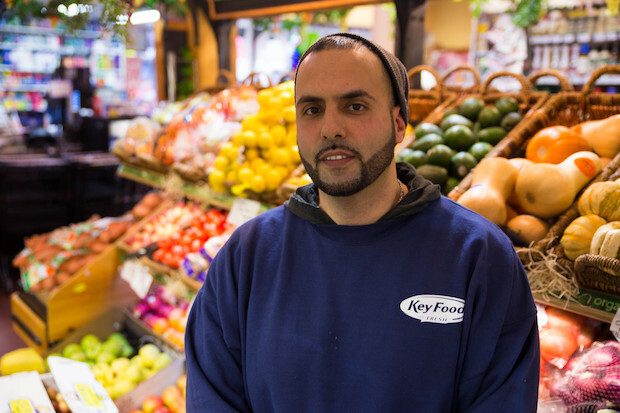 But the Key Food is most famous for employing a local kid who grew up to be an award-winning rapper and Brooklyn icon. "Biggie was like all the other neighborhood kids — hanging around in the summer, asking if he could bag groceries for tips," Widdi said. "That's what the kids around here used to do." The grocery store's official ribbon-cutting ceremony takes place Dec. 5 at 10:45 a.m. at 991 Fulton St., near St. James Place. There will be food tastings, music, giveaways and more. Public Advocate Letitia James, Brooklyn District Attorney Ken Thompson and Assemblyman Walter Mosley are expected to attend.